Improve job safety, reduce accidents and avoid OSHA Fines. Safety Badger provides real-time access to qualified safety experts. Serious violations from OSHA cost a company $13,260 per violation. A Safety Badger account costs less than a cup of coffee a day. 24/7 on-demand access to OSHA Experts expands your safety team and increases the reach of your safety support. Developed by industry veterans with experience walking job-sites and litigating OSHA fines, Safety Badger experts recently helped a client reach 1 million man-hours without a lost time accident. Launches in minutes. Users simply snap a photo with a brief description or question and a Safety Badger expert will respond with advice. All entries are reviewed by safety experts who provide an analysis, any appropriate OSHA citation and recommended corrective action. When unplanned OSHA Inspections, Accidents or Injuries occur a safety expert is ready to assist! For less than a cup of coffee you can ensure your job has on-demand access to an OSHA Expert. With your smartphone, get expert safety support when you need it, no matter where you are. Safety Badger is powered by highly credentialed safety experts who have worked across the United States, Canada, Mexico, Puerto Rico, and Sri Lanka. Recently, our expertise helped a client reach one million man-hours without a lost time accident. Pictured are some of our Safety Badgers. 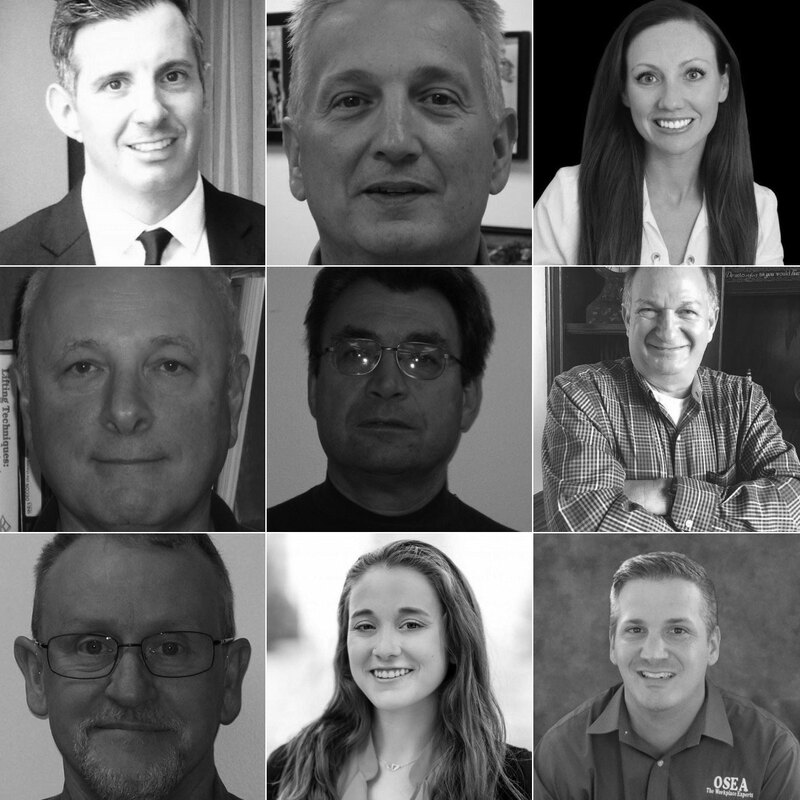 Our qualified team of safety experts includes CSP's, Engineers, Industrial Hygienists, USEPA, AHERA, Asbestos Management Planners, and Certified OSHA Outreach Trainers among many more! 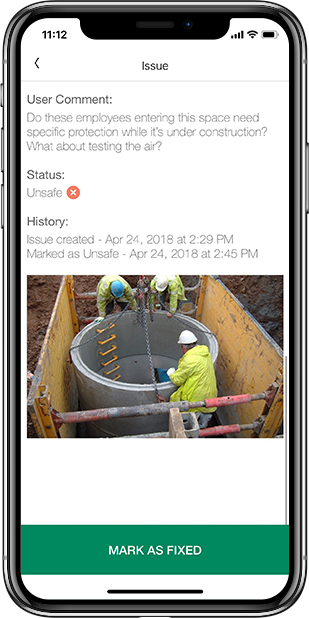 "We developed Safety Badger as an affordable way to help companies reduce accidents, injuries and OSHA fines by bringing high quality Safety Experts to every job-site." "Safety Badger helps our company to make safety more of a priority in our everyday work lives. It makes a significant difference in the way our employees work onsite." "Safety Badger allows us to stay proactive in our safety efforts on the work site. It provides a quick response for both pressing questions and everyday check ins. You can tell the Safety Badger team takes safety very seriously which encourages my workers to take it seriously too." "As a Safety Manager working at a remote location, I like Safety Badger because it gives me a quick response on things I had questions or were not 100% certain of. Its a good tool to have at your finger tips!" 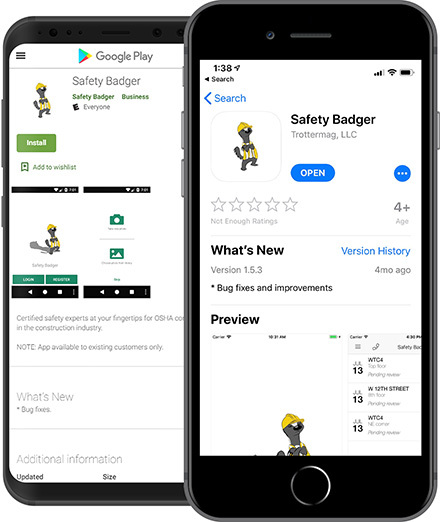 In just minutes after downloading, Safety Badger puts a real-time safety expert in your pocket for anytime and anywhere. Safety Badger will help improve on-site safety and reduce accidents and OSHA fines. 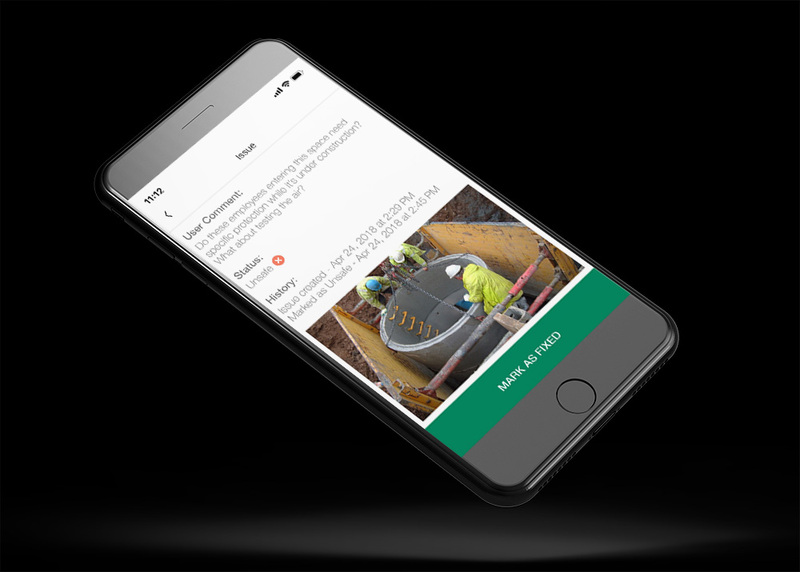 The Safety Badger App is a revolutionary approach to delivering affordable and high quality safety expertise to jobsites. Developed by passionate industry veterans with decades experience walking job-sites and litigating OSHA fines. © 2019. Rabbit Run Ventures, LLC. All Rights Reserved.